Hello to all the readers of TechnoGiants. Another giveaway is going to produce in-front of you guys and this time TechnoGiants collaborating with MacXDVD to organize a NEW giveaway of MacX Video Converter Pro. All of the TechnoGiants readers can get a chance to grab the Genuine License Key of Video Converter Pro v5.0.5 worth $49.95, but this time we are not going to choose any winner because it’s an Unlimited Giveaway. 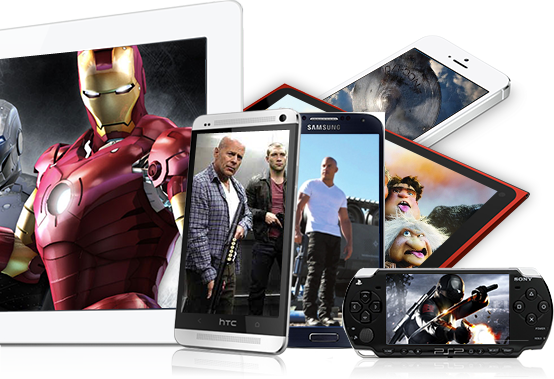 Want to watch videos on tablet or smartphone after transferring video with the help of video converter? It is not available for reference to pay charged converter without doing any comparison among numerous software on the market, because some of them may be just different in name actually which developed by the same company. So, the best way is trying to looking for the free video converter to make a test before buying. 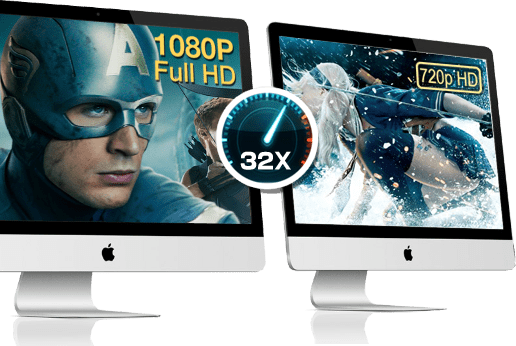 MacX Video Converter Pro is a feature-rich, high quality, and incredibly fast video converter that’s enables users to view any video with lots off video/audio codecs and advanced HD video decoding engine. It’s an all-in-one video converting solution with top quality, easiness, fast speed and high-efficiency. You can even download website-embedded videos from YouTube so that you can keep them for local storage. It allows users to make slideshow, record screen, edit video by adjusting the output parameters, etc. Despite the video converter is offered totally free of charge, it still functions well and meets all your video conversion needs. Convert any video to over 180 video formats and 14 popular audio formats, such as M2TS to MP4, MKV to AVI, WMV to MOV, FLV to AVI, AVCHD to MOV, MKV to MP4, MP4 to MP3, etc. 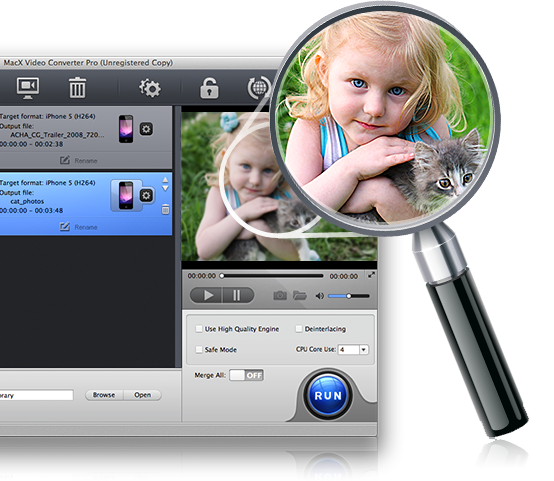 Built-in 359 preset profiles, it solves all video incompatibility issues to convert video for playback on iPhone 5S/5C, iPad Air, iPad Mini with Retina, Apple TV 3, iTunes, iMovies, HTC One, Samsung Galaxy S5/S4, etc. This converter allows you to clip video to get your favorite segment, add watermark to personalize your videos, merge separate videos into a new one, even crop frame size to remove the black bars. An array of useful features like 32X faster speed, 98% quality reserved and user-friendly interface are plus points for general users. The built-in High Quality Engine maximizes image quality dynamically, reduces noise and adjusts definition to make the output video clearer. It gives you thorough control over your HD camcorder videos and helping you convert Multi-track videos M2TS (Blu-ray), MTS, TS, AVCHD, MKV to mobile phone compatible format so that you can enjoy the recorded HD videos on smartphone without worrying about video format issues at one go. 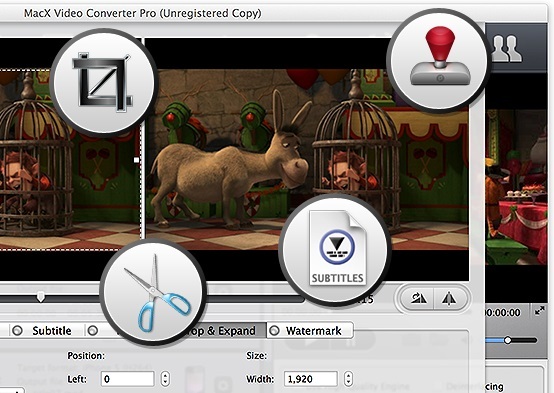 In particular, MacX Video Converter Pro is eligible for both Mac and Windows users. How to get this Exclusive Giveaway? Omitting the process of seeking for the license key like the other giveaway, all you have to do is just visiting the Exclusive Landing Page [Update: Link Removed] which is for TechnoGiants readers and click on ‘Get License Code’ button to get software. During the period of three days (July 22nd, 2014 – July 24th, 2014) validity, you can get this video converter at no expense and convert among various videos formats without any limitation. By the way, the full version is in the holiday discount for you guys to update the video converter and remove giveaway limits. 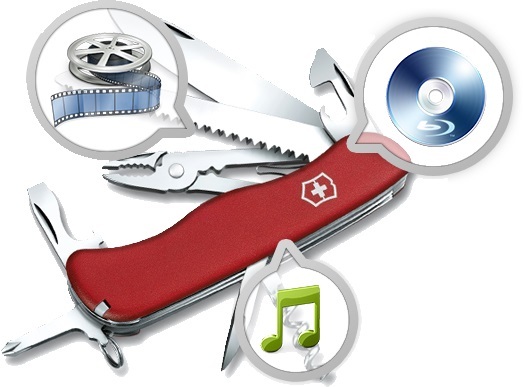 Similarly, you can purchase it on this page so that enjoy the life-time free upgrade service and tech support. A Big Thanks to Rachel from MacXDVD for providing this opportunity to present the unlimited license code Giveaway for the TechnoGiants readers. Don’t forget to act fast as much as you can because this offer will be fade out after 3 days from today. The license code should be used to activate the program before July 25, 2014. This giveaway product has no functional limitation. The giveaway copy could be used and kept persistently after successful unlock, but formatting/replacing the hard drive or reinstalling the whole system will make giveaway license invalid. Giveaway users will not be eligible for free upgrade services.